The mobile phone is seen by many experts as a health risk but is there anything we can do to reduce its potentially harmful effects? Ever since mobile phones became popular, there has been a lively ongoing debate about their safety. Many people are adamant that the radiation emitted by the devices could lead to long term health problems and believe mobile use is the ‘smoking of the 21st century’, and so should be similarly sold with health care warnings. However, despite extensive research in the field, we have yet to see conclusive evidence to prove mobile phones cause long term harmful effects in humans. Nevertheless, there has not been any proof that mobiles are completely safe either, and so it is recommended that users adopt a precautionary approach and take steps to reduce the exposure to the electromagnetic radiation emitted by mobile phones and mobile base stations. 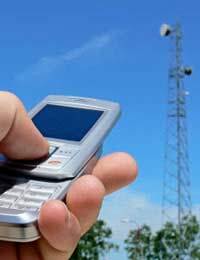 Electromagnetic radiation is present in mobile phones and masts because the process of sending and receiving calls uses radio frequency (RF) waves. Although the term radiation might prompt alarm in many people it is a common aspect of modern technology and is not believed to be dangerous to humans in small doses. Mobile phones only emit small amounts of radiation because their emissions are low power, having only to transmit to local base stations. However, although the serious long term health effects of RF waves have yet to be proven – there is no evidence to suggest mobile phone use can lead to tumours, memory loss, cancer, brain damage or foetal damage, for instance – studies have shown that exposure to the waves does definitely have some - albeit mild - effects, the strength of which can vary according to the individual. One scare story would have us believe that the heat generated by RF waves is so hot that your mobile phone could prove handy in frying an egg – so imagine what it’s doing to your brain! Although it is true that excessive exposure to the electromagnetic radiation can result in heating the brain, it is said to be only a very mild and short-term warming. Other proven effects of using a mobile phone include a slight and temporary increase in blood pressure and mild fatigue. A very small number of users who are particularly sensitive to electromagnetic radiation will find these symptoms increase in strength so that they suffer strong discomfort and headaches every time they use a mobile phone. To help reduce these effects and the likelihood of any more serious long term complications it is worth adopting some basic phone use measures. For example, it is said that by simply moving the mobile 20cm away from your head rather than pressing it to your ear can reduce radiation dosage by around 98%. Consumer concern about mobile safety prompted by the regular stream of scare news stories has inevitably cultivated a market for devices that claim to reduce radiation emissions or enable to the body to neutralise the effects. Hands-free kits are the most well-known and recommended of such equipment – although even they have their sceptics. However, with others it is worth taking a cautious stance and not being taken in by over-hyped promotions or scaremongering. Another way to reduce the dangers is to simply modify your mobile phone behaviour. Try not to talk on your mobile for long periods. If you have no choice then perhaps consider using a landline phone or investing in a hands-free kit. The area where extra caution is strongly advised is with young mobile phone users. As children’s bodies and brains are still developing they are much more susceptible to the effects of radiation than adults. It is believed that children can absorb radiation at up to a rate of three times that of an adult.